What is a Pennsylvania Lawyer? A Pennsylvania lawyer is an attorney who is barred in the Commonwealth of Pennsylvania and is permitted to practice law within the state. In order to be a Pennsylvania lawyer an individual must have graduated from an accredited law school within the United States or have done comparable training that meets the standard requirement of the Pennsylvania Bar Association. In order to be barred in the commonwealth of Pennsylvania a Pennsylvania Lawyer must have passed the bar exam, the MPRE and have passed the character and fitness evaluation performed by the state. In addition to passing the bar exam, a Pennsylvania lawyer applicant must pass the Multi-State Professional Responsibility Exam, or MPRE. The MPRE is a standardized 60 multiple choice question exam that gauges an applicant’s ability to understand and implement ethical situations dealing with the practice of law. The questions encompass areas including fees, advertising, privileges, disclosure and a number of other issues that examine the applicants’ ability to practice law. Pennsylvania requires a passing score of 75 in order to become a Pennsylvania Lawyer barred in the state. The final step to becoming a Pennsylvania Lawyer is to meet the character and fitness qualifications of the Pennsylvania Bar Association. Due to the high position of responsibility that comes with the privilege of practicing law each state requires an individual to submit a character and fitness form that is evaluated by a state commission. This form will consist of all relevant information that will enable the bar association to investigate the applicant and determine whether they are worthy of the ability to practice law. The bar association will ask for all relevant information including criminal record, previous addresses, educational background and military service. The character and fitness commission will also request fingerprinting and official transcripts from educational institutions. As a Pennsylvania Lawyer, an individual is held to higher standard of conduct because of the ability of an attorney to take advantage of those individuals who are not familiar with the law. Pennsylvania has reciprocity with 28 other states in the Union including New York and the District of Columbia, but not California. In order to be able to practice law without having taken the Oklahoma Bar Exam an applicant for admission to become an Pennsylvania Lawyer must be actively practicing law in another state continuously for 5-7 years in addition to having had a passing score of 75 on the MPRE exam. There is no reciprocity if an applicant has taken and failed the Pennsylvania Bar exam. If that happens the only way to be admitted to practice law in the Commonwealth is to sit for, and pass, the Pennsylvania Bar Exam. Where can I find if a Pennsylvania Lawyer is in good standing? If you are contemplating hiring a Pennsylvania Lawyer it is best to do your own homework first. You will want to make sure that the Pennsylvania Lawyer who is going to represent you is properly licensed and in good standing in the Commonwealth. If you want to find information on the standing of a Pennsylvania Lawyer you should go to the Disciplinary Board of Pennsylvania’s website at www.pabar.org/membership/lrs.blurb.asp or call 717-231-3380. There you will be able to search for lawyers by last or first name, attorney ID, city or county. The site provides you with all available information including standing and any disciplinary actions against the attorney. If you need a Pennsylvania Lawyer you can also go to www.pabar.org/membership/lrsblurb.asp where the Pennsylvania Bar Association offers a free referral service. Consultation meetings with a Pennsylvania lawyer referred to by the Pennsylvania Bar Association will charge $30 for a half hour meeting. How do I report Disciplinary Action against Pennsylvania Lawyers? Disciplinary actions against Pennsylvania Lawyers are serious matters. Pennsylvania Lawyers are responsible for upholding the ethical and legal aspects of the profession on a 24/7 basis. If a Pennsylvania lawyer is not upholding his ethical responsibilities or is deficient in his or her ability to represent you then that matter should be brought to the attention of the Disciplinary Board of the State of Pennsylvania. You must file a complaint against Pennsylvania lawyer directly, and in writing, to the Disciplinary Board of the State of Pennsylvania. Your complaint should include: the name of the Pennsylvania lawyer; description of the case the lawyer was involved in; chronological timeline of events leading to the belief that disciplinary charges were necessary; copies of documents pertinent to the complaint; names of witnesses and other parties; and the name and address of the complainant. If the Disciplinary Board, after concluding its investigation, feels that the allegations are credible then they will forward the investigation to the Office of Disciplinary Counsel for prosecution of the Pennsylvania Lawyer for his or her violations of the rules of Professional responsibility. At all times from the beginning of an investigation up to the prosecution for disciplinary action by the Office of Disciplinary Counsel the matter is confidential. It is important to know that when you file disciplinary actions against an Pennsylvania lawyer you may be waiving your attorney/client privilege to certain matters involving the disciplinary action. There is a 4 year statute of for reporting ethics violations in the Commonwealth of Pennsylvania. What questions should I ask a Pennsylvania Lawyer? - Where did you go to law school? - Are you barred in the state of Pennsylvania? - Have you ever been disciplined by a bar association? - How often do you handle cases like mine? - Will you be handling my case personally? - What do you see as the problem with my case? - What do you see as the result of this litigation? - Are you familiar with the court procedures and personnel in the filing jurisdiction? A PA lawyer may litigate claims in any one of a number of courts in the state of Pennsylvania. The Pennsylvania judicial system is broken up in to 4 distinct groups of courts that hear original cases and/or appeals. The PA lawyer that you retain should be familiar with each one of these courts, which courts to file your claim and the procedures involved in court system. The lowest state courts in Pennsylvania consist of the Magisterial district courts, The Philadelphia Municipal Court, The Philadelphia Traffic Court and the Pittsburgh Municipal Court. The second level of Pennsylvania courts that a PA lawyer may litigate in are the Common Pleas Courts. There are 70 Common Pleas Courts in the State of Pennsylvania. They have general jurisdiction over all matters that are not specifically handled by the lower courts mentioned above. They also have appellate jurisdiction over some matters. The appellate division in Pennsylvania is comprised of the Superior Court and the Commonwealth Court. The highest court in Pennsylvania is the Supreme Court of Pennsylvania. In order to be admitted to practice law in the State of Pennsylvania an applicant, and be one of many PA lawyers, an applicant must pass the Pennsylvania Bar Examination. Prospective PA lawyers will sit for the exam, which is administered twice a year, over the course of two days. The first day of the exam consists of 6 essay questions designed by the Pennsylvania Board of Bar Examiners; and the MPT examination, designed by the National Board of Bar Examiners. The second day of the Pennsylvania Bar Exam is the Multi-State Bar Examination. People who are becoming PA lawyers must sit for this nationally administered examination which is comprised of 200 multiple choice questions focusing on the 6 most general areas of the law: Criminal law & procedure, Property, Evidence, Torts, Contracts, and Constitutional law. Ethical standards are very important for lawyers. Pennsylvania requires that all applicants for the Pennsylvania Bar Exam represent the high standard for morals and ethics that correspond with being lawyers. Pennsylvania requires that individuals seeking admittance to practice law in the state have a minimum score of 75 on the Multi-State Professional Responsibilities Examination. This exam tests applicants on their ability to analyze moral, and ethical, situations that you may be confronted with in your practice as lawyers. Pennsylvania also requires that an applicant meet the standards of character and fitness that are expected of individuals practicing in the state as Lawyers. Pennsylvania lawyers will be expected to disclose their education, criminal record, financial status, credit history, and a number of other things in order to practice law in the state. If you live in Pennsylvania and you need to find representation, legal referral services may be able to help you find a lawyer. Pennsylvania provides free referral services to citizens need representation but do not know where to look. If you need a lawyer, Pennsylvania has legal referral services that cover 45 of the 60 counties in the state. These services are provided for free by a Pennsylvania Lawyer. Pennsylvania Bar Association will send you a list of attorneys in your area that practice in the type of law that you have an issue with. If you choose to meet with a lawyer from the referral service he, or she, will give you a 30 minute consultation meeting to help you understand the problem and whether you need a lawyer. The only cost is $30 to the lawyer. Pennsylvania lawyers are required to return $15 of that to the Pennsylvania Bar Association. If you are in need of lawyers in PA but you cannot afford representation then you may require the help of legal aide services in Pennsylvania. Lawyers in PA are required to volunteer their number of hours per year for pro bono services. Legal aid is a resource where a database of lawyers in PA is compiled and their services are provided to those individuals in need of free legal advice. If you need legal aide services you can go to www.palegalaide.net. There you will be able to search for a legal aide provider by county or by topic. By using the map that is provided on the web page you can click on your county and the website will show you the name, address, and contact information of a legal aide service provider in your vicinity. If you are in an automobile accident in Pennsylvania or you are injured out-of-state from an automobile accident that occurred within Pennsylvania then you will want to have a PA automobile accident Lawyer representing you. A PA automobile accident lawyer will be in the best position to help you recover from your injury. A PA automobile accident lawyer is a necessary party to a personal injury action arising from an automobile accident partly because Pennsylvania is a comparative negligence state. This means that any negligence on the part of the plaintiff that contributed to the accident will reduce the damages that the defendant will have to pay. 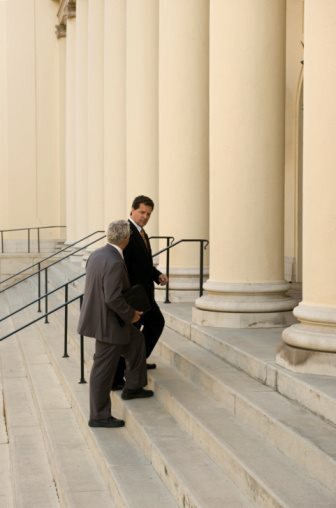 If you are searching for a Pennsylvania lawyer there are many avenues that you can take. Almost every Pennsylvania lawyer has a website that lists their accomplishments, they types of law they handle, and what they can do for you. When doing a Pennsylvania Lawyer Search you want to use the help of a lawyer referral service. Performing a Pennsylvania Lawyer Search can be a large task and weeding out attorneys can sometimes be difficult, especially for someone who doesn’t know what to look for. You can access the “find a lawyer” link at the top of the laws.com website to take advantage of our Pennsylvania Lawyer Search. All you have to do is input the requested information and someone will contact you shortly with information that will help you with your search.